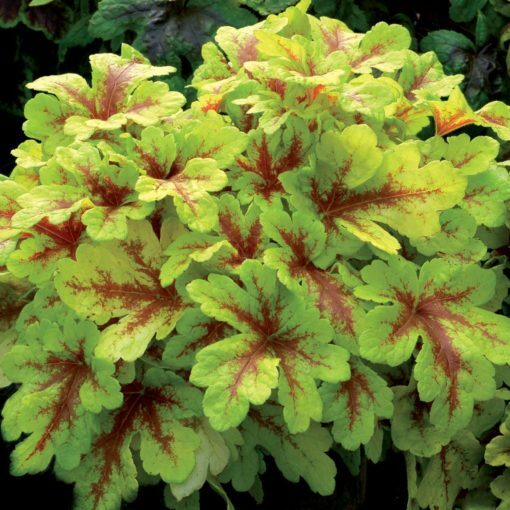 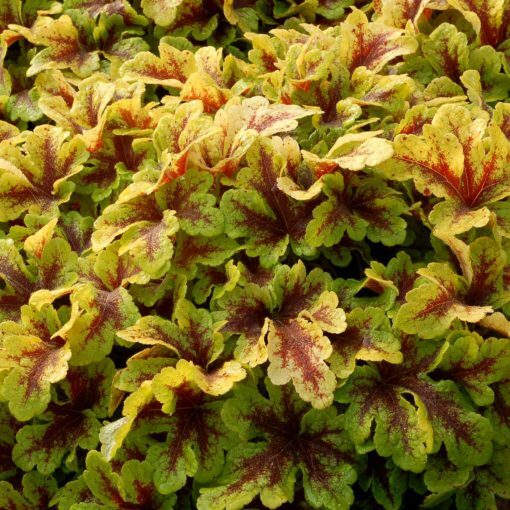 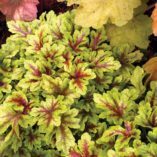 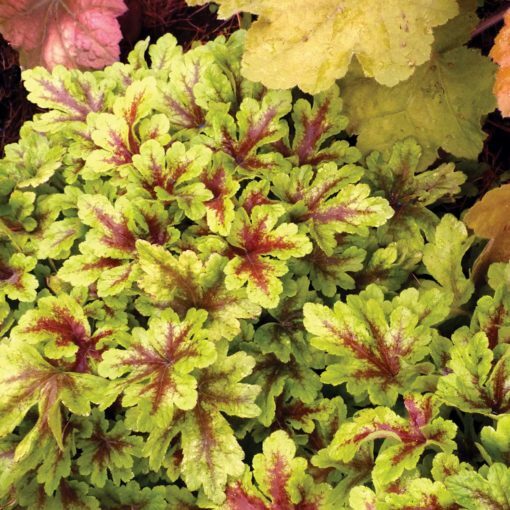 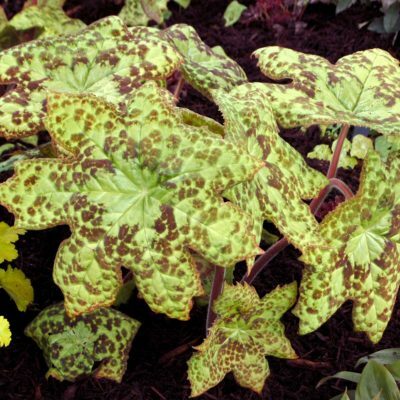 Heucherella ‘Mojito’ | TERRA NOVA® Nurseries, Inc. 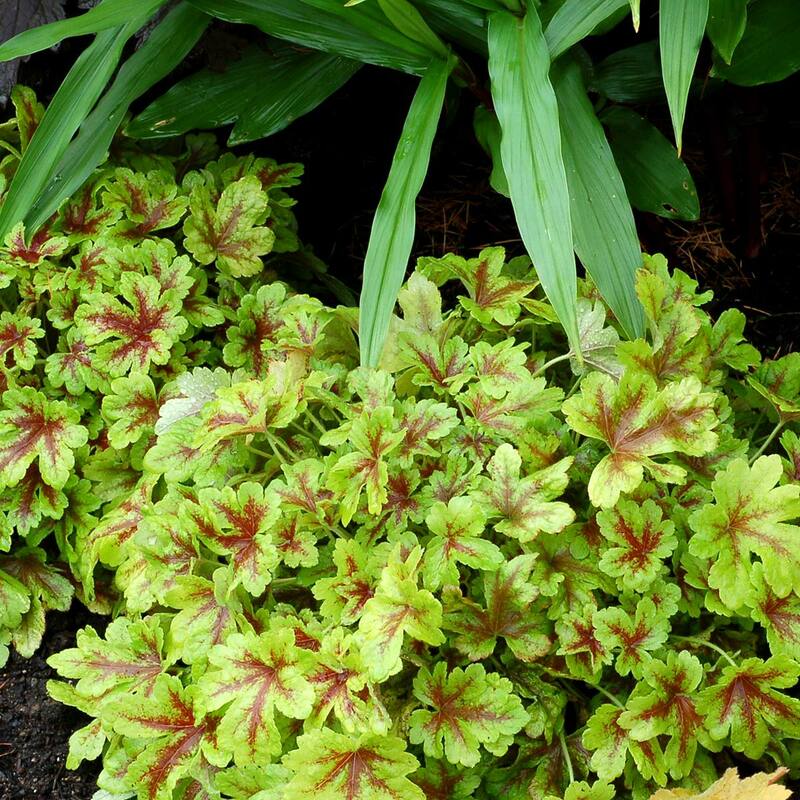 Warm gold spring color gives way to summer lime, always with red veins that hold their color well into the season. Dense, compact habit. Short petioles give this plant a unique fullness. 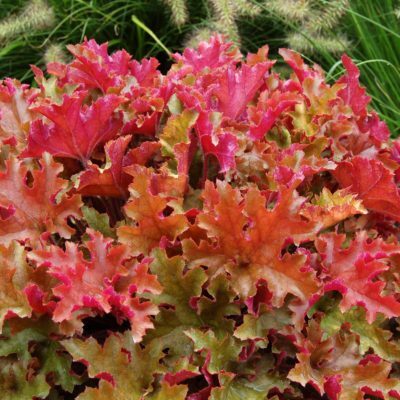 It's always neat with few or no flower spikes for easy maintenance. 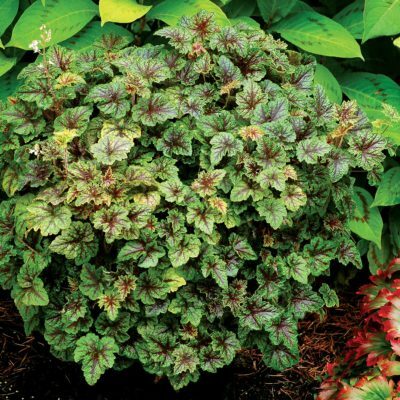 It has dense, glossy foliage that keeps good color all year round. 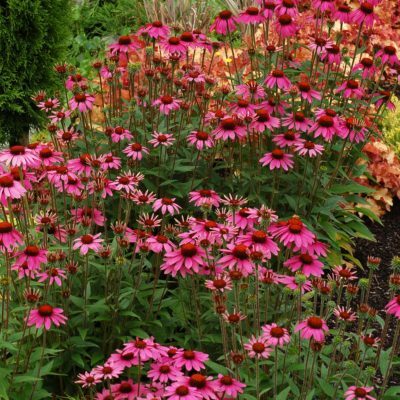 Very clean look as rarely blooms and blooms are on short stems.